their mutual medium | an unfinished, “raw” cello. 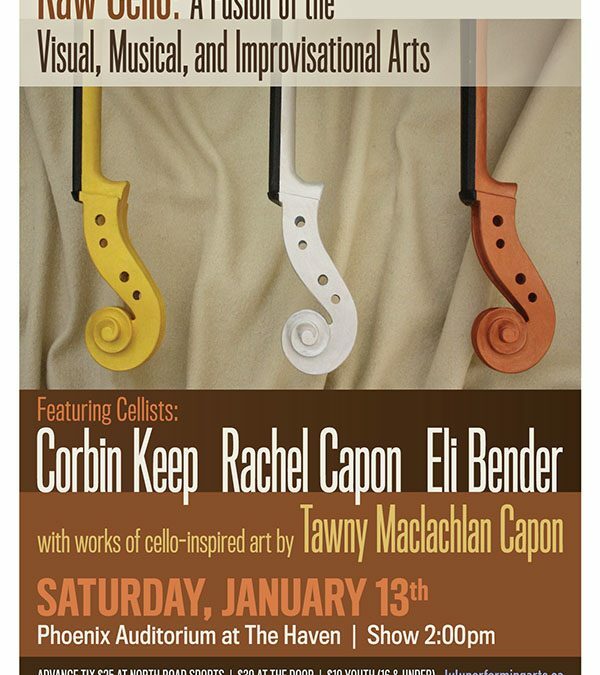 Experience a synergy of aural and visual art, heretofore unknown, as these accomplished artists realize a unique composition, with the cello itself as canvas. Raw Cello will feature Tawny creating art on a cello in realtime, at the same time as Corbin is playing it. The evening will also feature acclaimed cellists Rachel Capon and Eli Bender. Corbin Keep is an innovative singing cellist, composer and all-around music geek. Over the past 30+ years, he has played in settings ranging from intimate solo venues to rock bands to symphony orchestras. Corbin is continually inspired to push the boundaries of the cello, both in his performances and in his compositions. 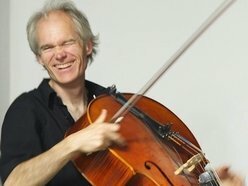 He is a co-director of the New Directions Cello Association, an organization devoted to supporting and celebrating the work of cellists around the world who are exploring new frontiers for the cello. 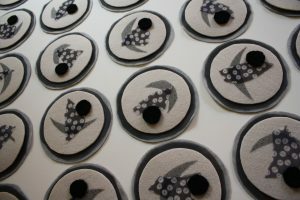 As a visual artist, Tawny works with an eclectic range of techniques and materials, including a handmade Japanese paper called Washi, to produce her mixed media work, most of which is abstract. She is a long time Gabriola resident. She exhibits on a regular basis at the David Kaye Gallery in Toronto and continues to study any technique enabling her to express her ideas, from paper to welding.